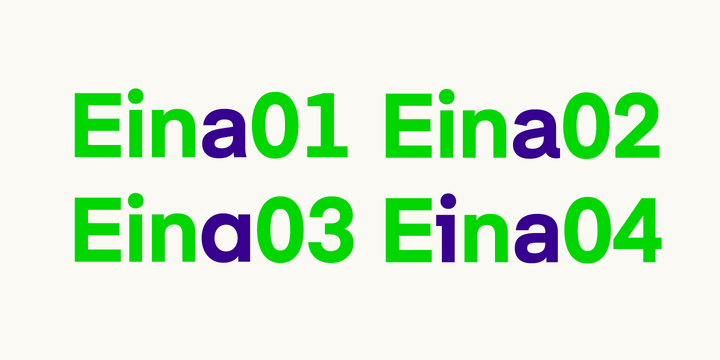 Eina is a sans serif typeface created by Íñigo Jerez and published by Textaxis. It is a versatile font designed to be suitable for complex typographic purpose. It is available in 32 styles, divided in 4 categories (Rational, Humanist, Geometric, Industial) each with 4 weights (Light, Regular, Semibold, Bold) and italics. It is perfect for typogtaphic use, editorial, branding, packaging etc. Enjoy! Price: starting from $40,00 for one font to $400,00 for all 32 fonts. A font description published on Monday, October 30th, 2017 in Fonts, Íñigo Jerez, Textaxis by Alexandra that has 3,669 views.